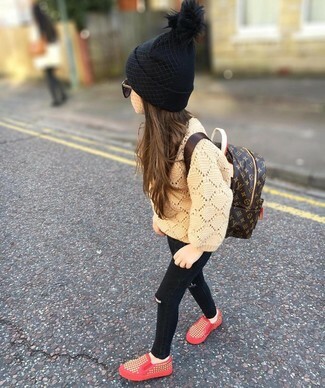 Suggest that your little angel pair a tan sweater with black jeans for an easy to wear, everyday look. Puma toddler roma basic sneaker are a savvy choice to complement this outfit. 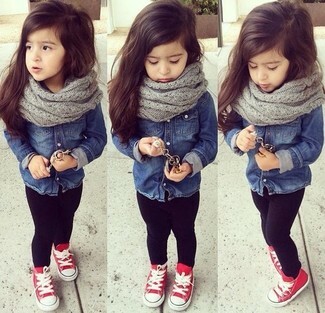 Suggest that your little girl pair a red jacket with navy jeans to create a cool, stylish look. 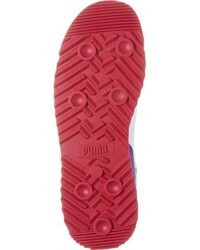 As far as footwear is concerned, suggest that your little girl go for a pair of Puma toddler roma basic sneaker. People will swoon over your little fashionista if she wears this combo of a pink ruffle long sleeve t-shirt and dark green leggings. 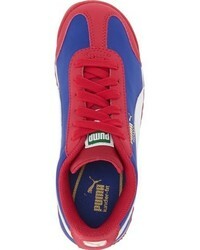 Puma toddler roma basic sneaker are a good choice to round off this look. 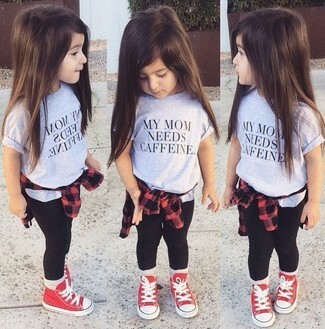 Suggest that your girl wear a navy denim long sleeve shirt and black leggings to get a laid-back yet stylish look. Complement this outfit with Puma toddler roma basic sneaker from Nordstrom. 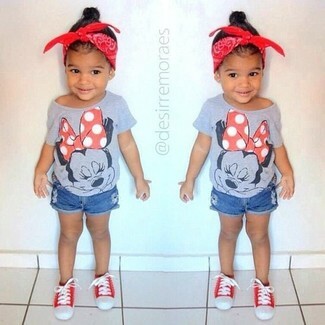 Suggest that your tot pair a grey t-shirt with blue denim shorts for a comfy outfit. Red sneakers are a good choice to finish off this ensemble. 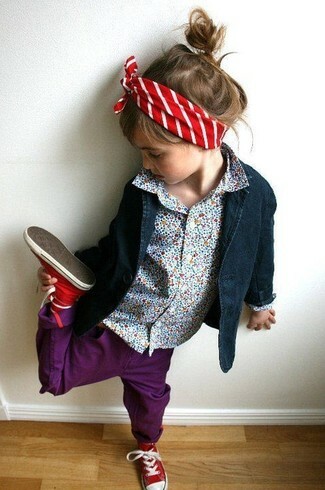 Suggest that your daughter choose a navy blazer and purple jeans for an easy to wear, everyday look. As far as footwear is concerned, suggest that your little girl go for a pair of Puma toddler roma basic sneaker from Nordstrom. 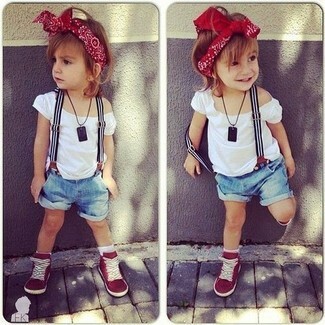 Go for a light blue denim long sleeve shirt and light blue denim shorts for your kid for an easy to wear, everyday look. 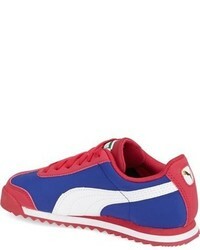 As far as footwear is concerned, suggest that your girl opt for a pair of Puma toddler roma basic sneaker. A red long sleeve shirt and black leggings are a great outfit for your little princess when you take her to the local library to play with puzzles or read stories. As far as footwear is concerned, suggest that your little girl opt for a pair of Puma toddler roma basic sneaker from Nordstrom. 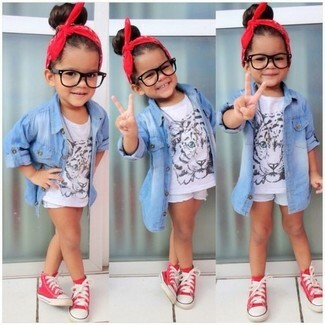 Consider dressing your child in a white t-shirt with light blue denim shorts for a comfy outfit. 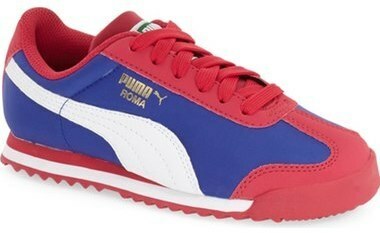 Puma toddler roma basic sneaker are a great choice to round off this look.